With Shredding on the Go, your business is guaranteed secure shredding and quality service. Our advanced security procedures protect your information. Our services prioritize your schedule and shredding needs, with flexible pick-up times and convenient invoice processing. With this service, you receive an official SOTG bin. When you notify us that your bin is full, trained specialists come and collect the documents to shred at our facility. After your documents have been shredded, all shredded materials are recycled, and you receive an official Certificate of Destruction. Sometimes regularly scheduled pick-ups don’t make sense for your business. Call us to handle a one-time shredding job. Our staff assists in picking up and transporting your documents to our shredding facility. All shredded materials are recycled and you receive an official Certificate of Destruction. 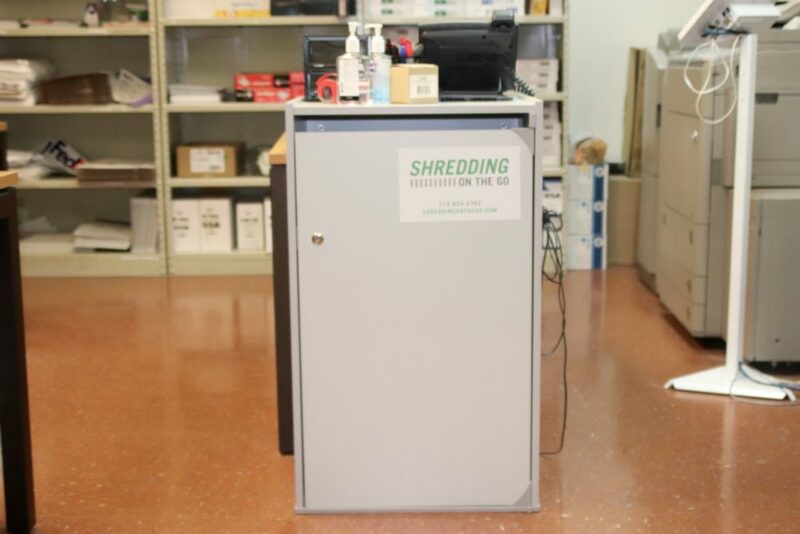 When you choose to receive our recurring shredding services, we provide a SOTG bin to your business, free of charge. 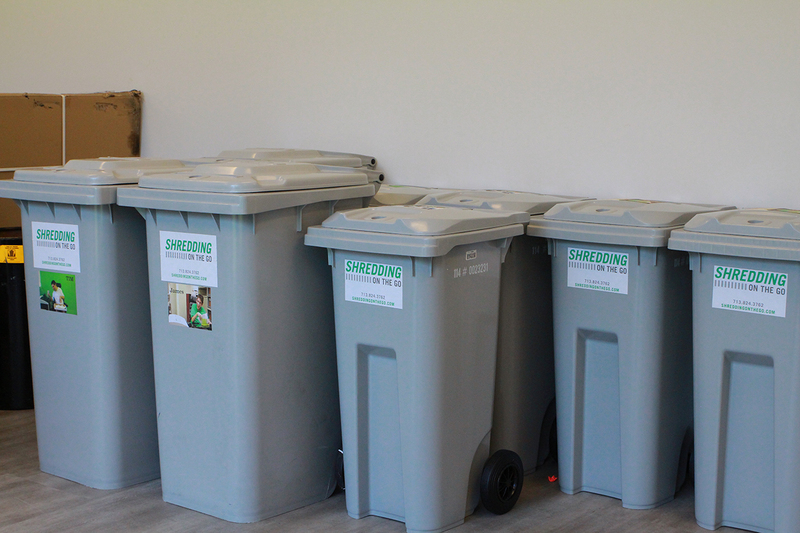 Our bins are designed to ensure that confidential documents are easily contained and transported. They come in three sizes and the console bin comes in four colors, including three different wood tones or gray. Contact us to make your selection and start securely storing your documents for shredding. Declutter your life, with confidence. We provide shredding services for private individuals looking to safely dispose of their documents. Secure shredding protects your sensitive information—like tax records, contracts, invoices, healthcare information and insurance documents—from identity theft. 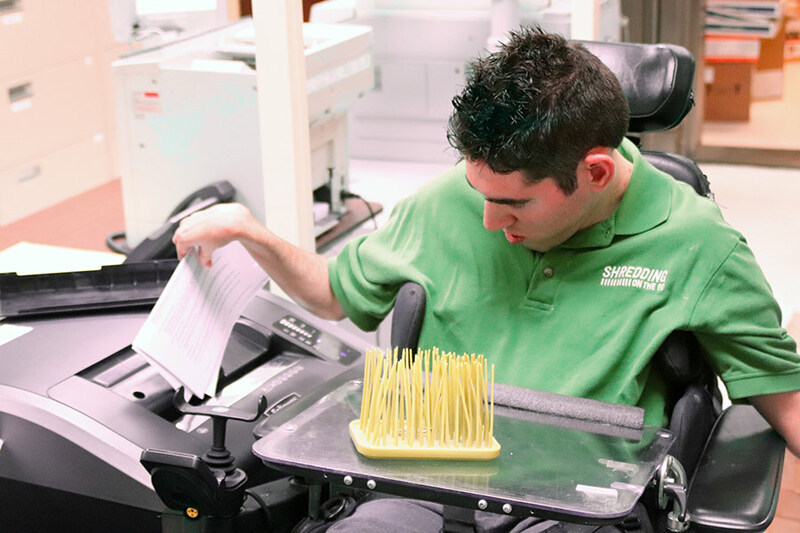 We offer flexible and convenient pick-up services for residents in the Northwest Houston area. Whether you have a business or personal documents, there are policies that dictate their retention time. Why do you need a document retention policy/plan (DRP)? 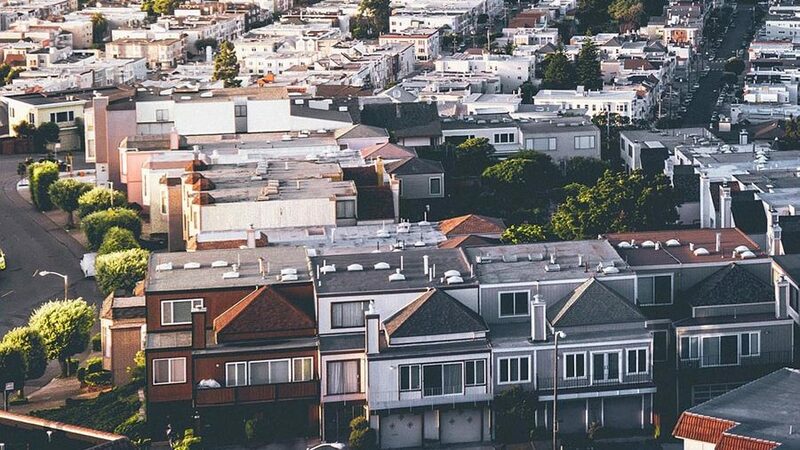 You must keep documents for a specific period of time pursuant to federal, state or local laws. 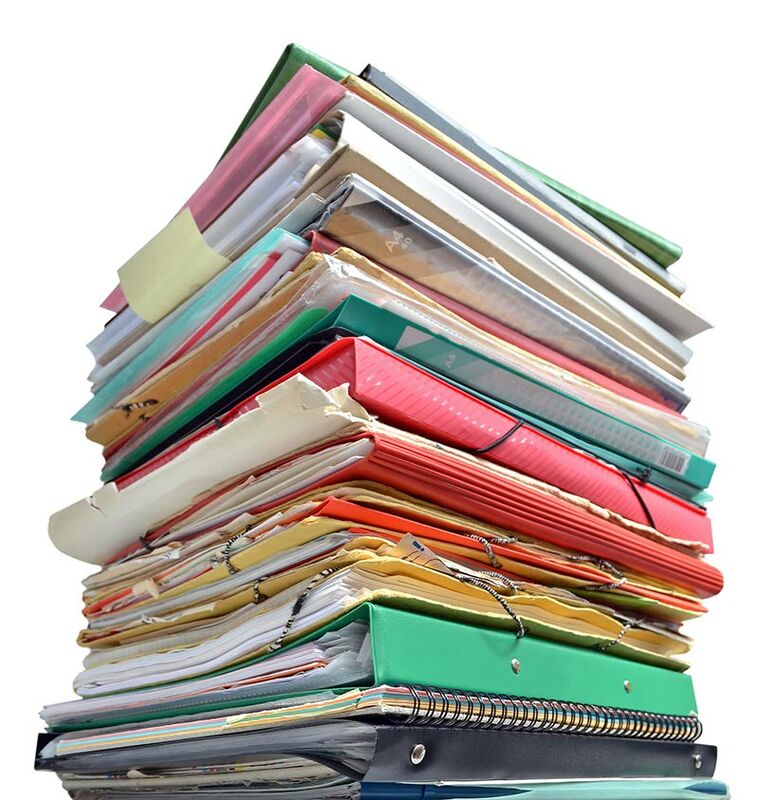 With DRP you will be able to easily locate important documentation and free up space by destroying useless paperwork. A good DRP will aid you in any litigation that might arise. Categorize the documents you produce, both physical and electronic. Decide how long the documents should be kept by downloading this pdf. Choose safe storage options for your documents (you can back-up the documents electronically or find a proper facility). Do not simply sell your old business computers and hard-drives. Make sure you destroy your documents using a method that renders them unreadable.